Skin With Care is located in the heart of Coolidge Corner. With more than 25 yrs of experience in the skin care industry we are expert Estheticians utilizing innovative products in all of our treatments and services. Had an amazing facial! My skin feels the best it ever has. Can’t wait to go back again. Colleen was very generous in honoring my NIFT after the expiration date. She was very attentive and thorough and gave me an excellent facial. The staff was very nice and my eyebrows look amazing! Had a great experience with Colleen. She was so friendly and welcoming. The express facial was perfect. In 30 minutes I had glowing skin. Can’t wait to go back again! It was great! I would go again! Skin Care on Beacon street is trusting place to go. Valerie is highly professional and pleasant esthetician. Val was amazing. I tried Skin with Care’s trial eyelash extensions because I’ve never had extensions before. I’ll be back in a couple days for a full set! AMAZING! I will definitely go back. It is my new favorite place to get a waxing. Colleen was very friendly. She explained each step of the process when using the different products on my face. I plan to go back at some point. Colleen was very easy going, careful and a joy to speak with. She made sure to give clear and concise directions to her business as its not easily identifiable. Will definitely be coming back. Wonderful facial from a true pro and delightful person. First time getting a facial and it exceeded all my expectations. Colleen was perfect and made the experience quite enjoyable. The facial was very thorough and relaxing and the spa knew how to transact the nift, so there were no problems. It would be helpful if on the directions page it listed what suite it was. 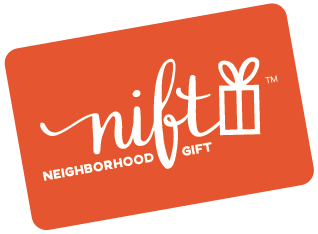 Also I think the phone number listed on the nift redeem page is inconstant with the phone number on the website. It said 3425 instead of 3435. Overall, great experience. I would go again!!! Great quality service. I'll definitely be going back! It was so relaxing, and she was very friendly and informative about the products she was using. I would have never treated myself to a facial before Nift. Wonderful experience! Friendly and professional service both during scheduling and while I was there for my appointment! Colleen was a pleasure to work with and the results were fantastic! Welcoming environment, great and attentive staff.